Meteor showers and controlled fires this week in photos. 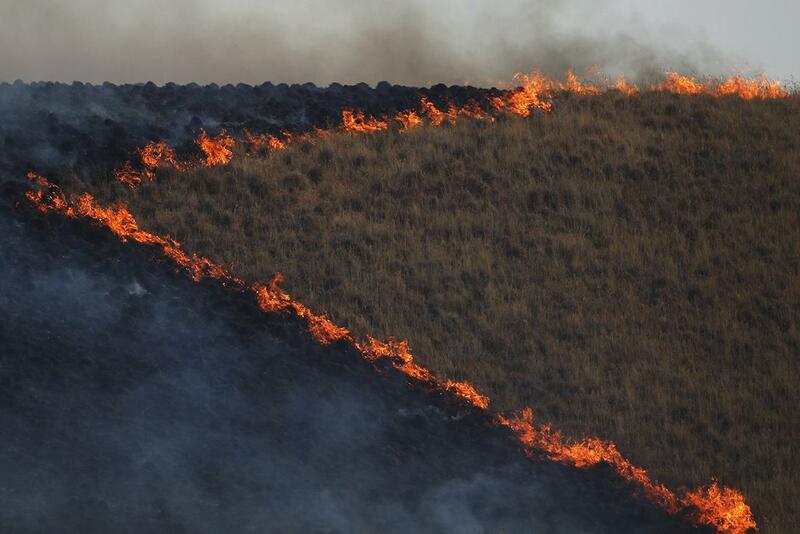 A burn operation is seen along Morgan Valley Road during the Jerusalem Fire on Aug. 11, 2015, near Lower Lake, California. The fire has consumed 16,000 acres after doubling in size overnight and is 5 percent contained. 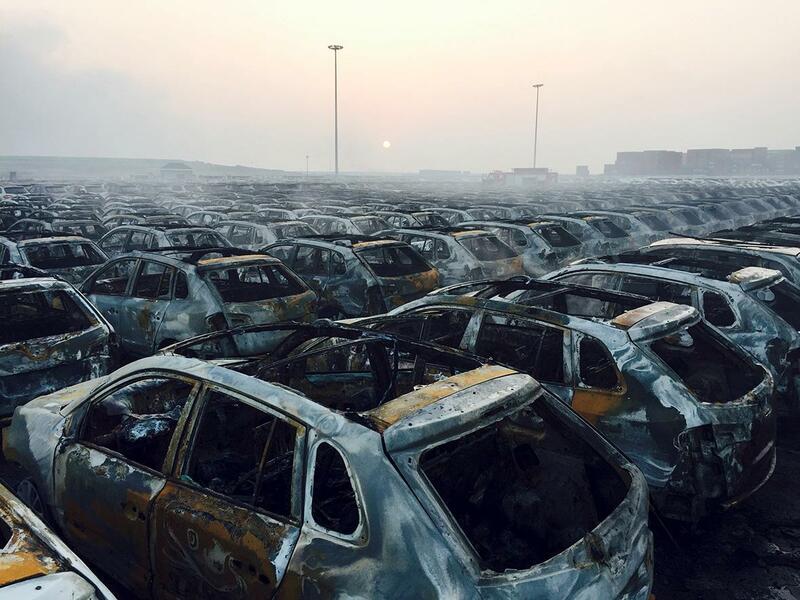 Damaged cars are seen near the site of explosions in Tianjin, China, on Aug. 13, 2015. Two massive explosions caused by flammable goods ripped through an industrial area in the northeast Chinese port city late Wednesday. 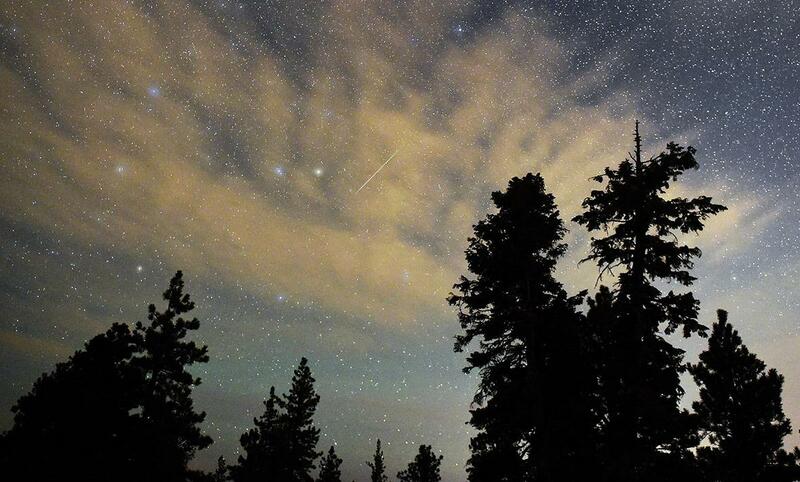 A Perseid meteor streaks across the sky above desert pine trees on Aug. 13, 2015, in the Spring Mountains National Recreation Area in Nevada. The annual display, known as the Perseid shower because the meteors appear to radiate from the constellation Perseus in the northeastern sky, is a result of Earth’s orbit passing through debris from the comet Swift-Tuttle. 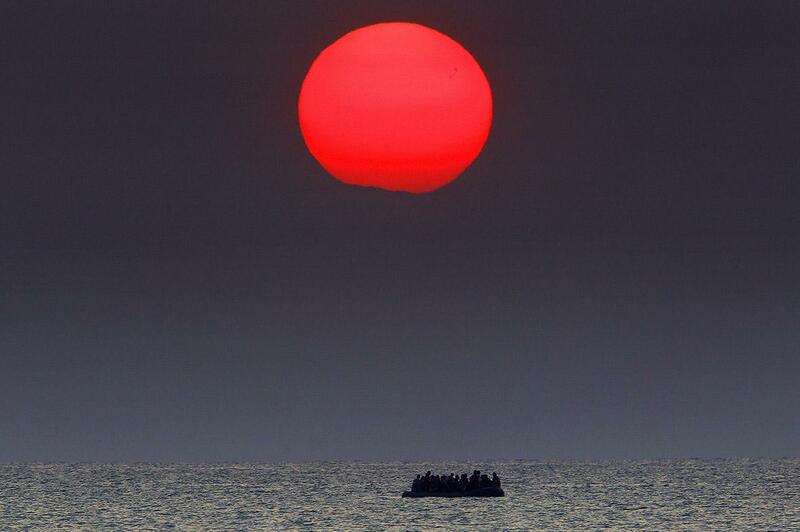 A dinghy overcrowded with Syrian refugees drifts in the Aegean Sea between Turkey and Greece after its motor broke down off the Greek island of Kos, on Aug. 11, 2015. 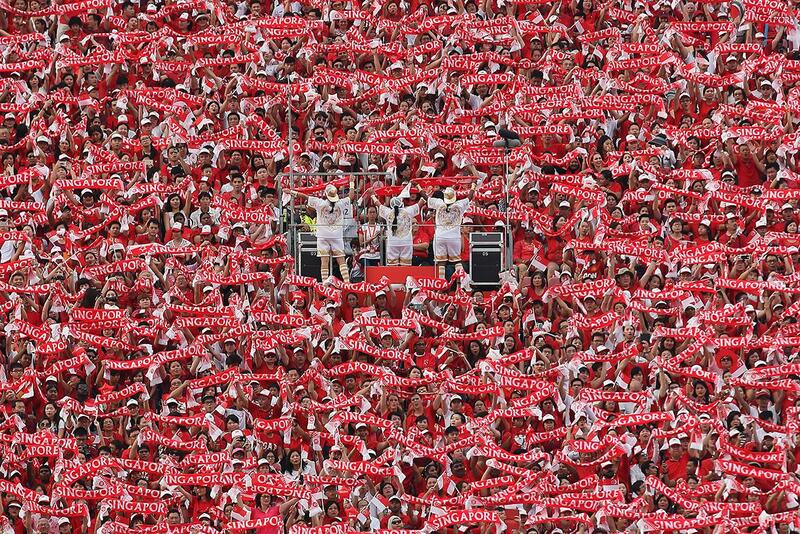 People wave the Singapore scarf during the National Day Parade at Padang on Aug. 9, 2015, in Singapore. Singapore is celebrating its 50th year of independence on Aug. 9, 2015. Festivalgoers enjoy the atmosphere at Isla Fantasia Water Park as part of the Circuit Festival on Aug. 11, 2015, in Barcelona, Spain. The Circuit Festival is considered Europe’s biggest gay and lesbian festival. More than 70,000 people flock to Barcelona every August to enjoy 12 days of parties and activities around the city. On Aug. 8, 2015, members of the lesbian, gay, bisexual and transgender (LGBT) community in Uganda celebrate gay pride near the capital, Kampala. Homosexuality is taboo in almost all African countries and illegal in most, including Uganda, where rights groups say gay people have long risked jail. Fear of violence, imprisonment, and loss of jobs means few gays in Africa come out. Above, Alicia, a participant of the Mr. and Miss Pride beauty contest, practices a dance during rehearsals for the contest in Kampala on Aug. 1, 2015. 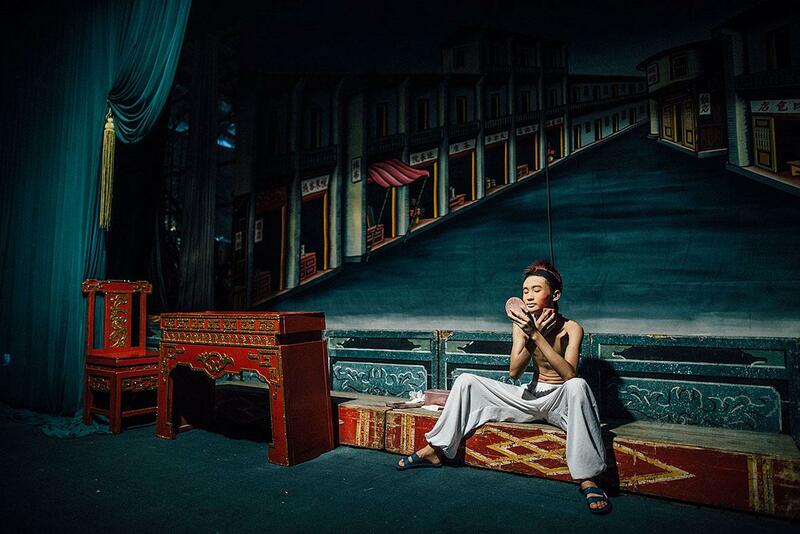 A performer puts on makeup to prepare for a Chinese opera during the month of Hungry Ghost Festival (Yu Lan) on Aug. 14, 2015, in Hong Kong. The Hungry Ghost Festival was inscribed on China’s third national list of intangible cultural heritage in 2011 and is held at more than 60 places on Hong Kong Island, as well as Kowloon and New Territories. Some of the main activities of the festival include paying respects to the hungry ghosts, and opera for the spirits. 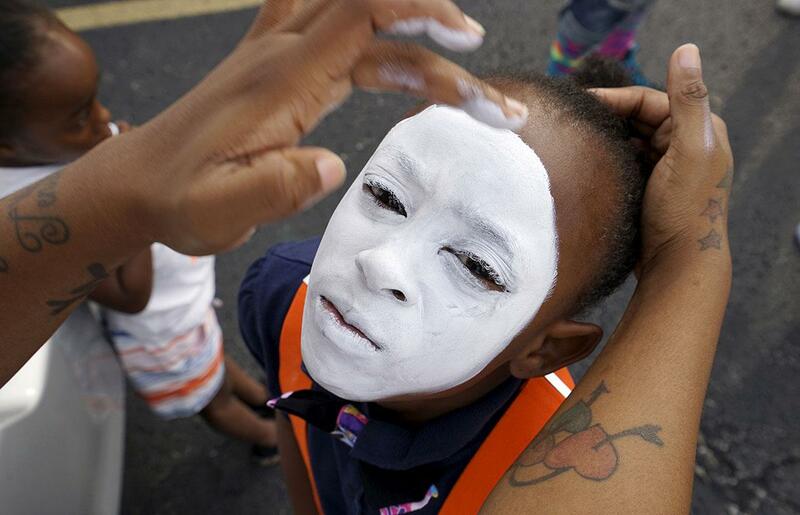 Keylah Pool, 8, has face paint applied before a protest march in Ferguson, Missouri, on Aug. 8, 2015. 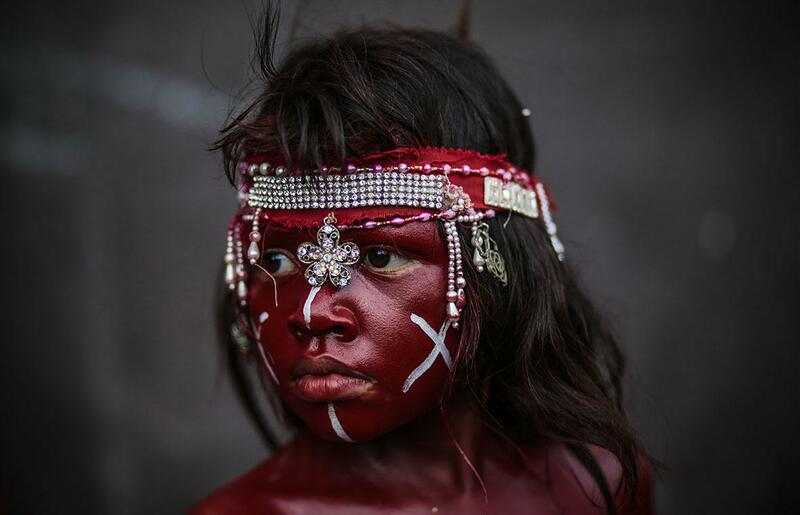 A boy takes part in the closing of the 10-day celebration of the Santo Domingo de Guzman festival in Managua, Nicaragua, on Aug. 10, 2015. 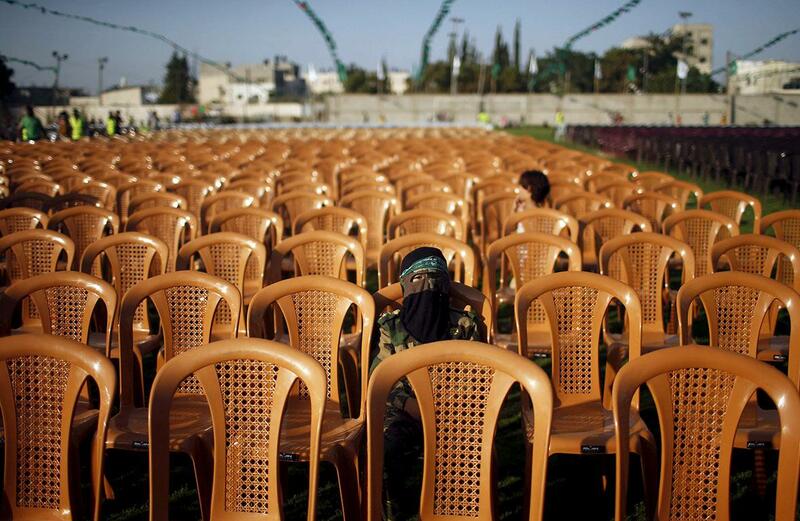 A masked Palestinian boy wearing a Hamas headband sits on a chair as he waits to watch an anti-Israel military parade by Hamas militants in Beit Hanoun town in the northern Gaza Strip on Aug. 11, 2015. 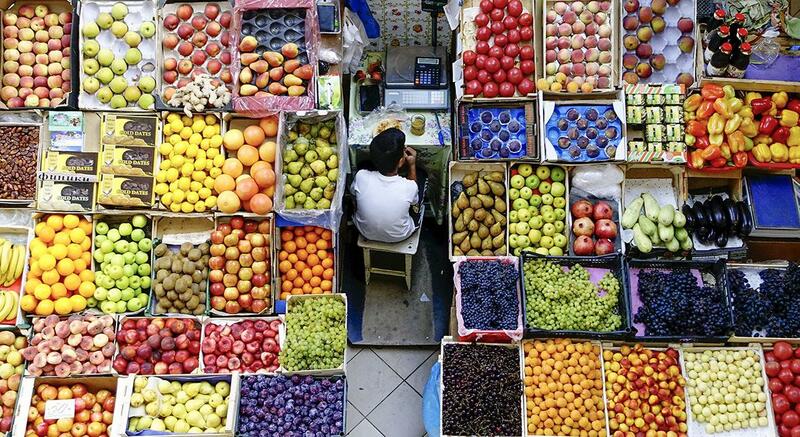 A boy takes a meal break at a fruit stall in the central market in Kazan, Russia, on Aug. 11, 2015. 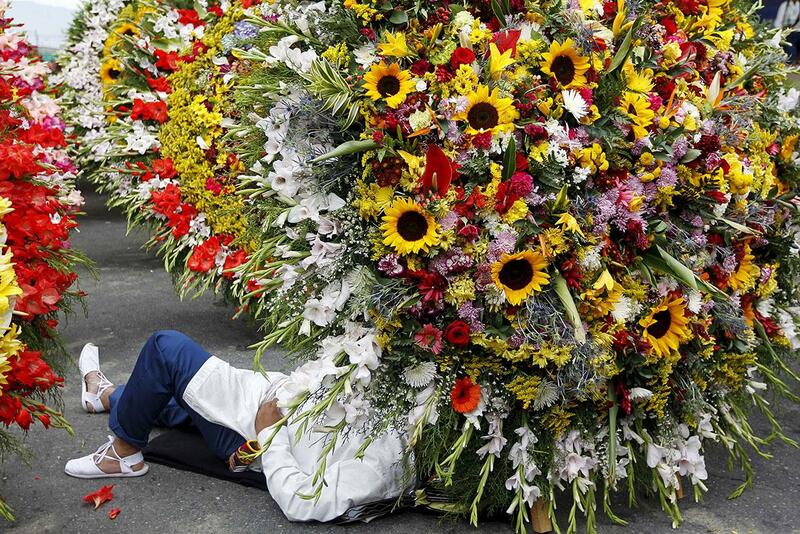 A flower grower, known as a silletero, rests on the ground during the annual flower parade in Medellín, Colombia, on Aug. 9, 2015. 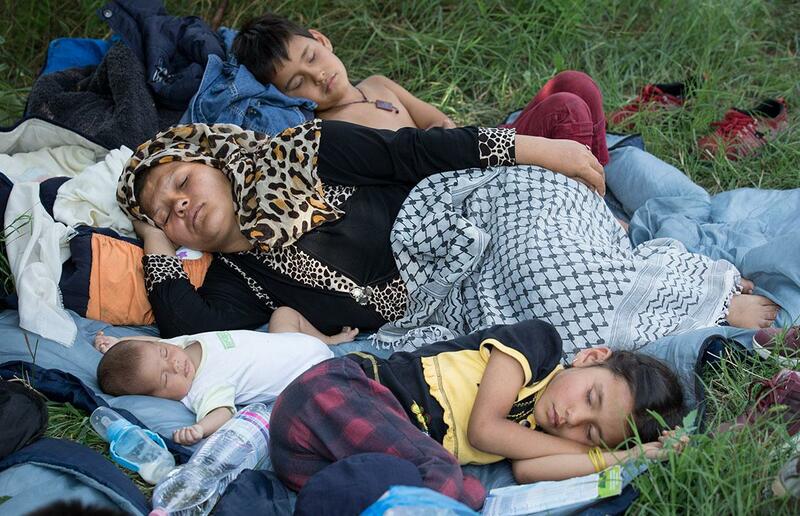 Family members from Afghanistan who have just crossed the border from Serbia into Hungary sleep beside the road as they wait for a bus organized by the police to take to them to the Roszke transit center on Aug. 11, 2015, near Szeged, Hungary.